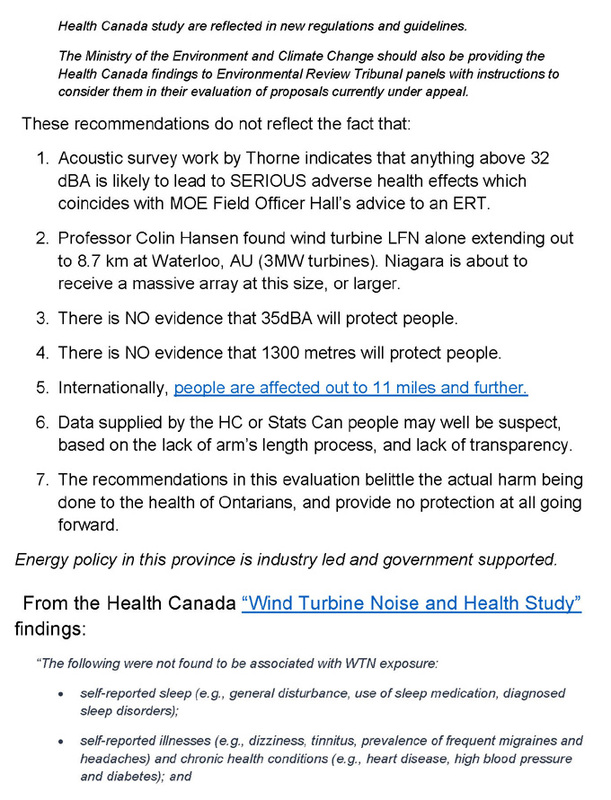 "The study indicates that the sound power threshold needs to be lowered to 35 dB which in turns means that the setback needs to be increased to 1,300 metres (Our emphasis). These standards are not without precedent as both New Zealand and South Australia are using this standard in rural areas." 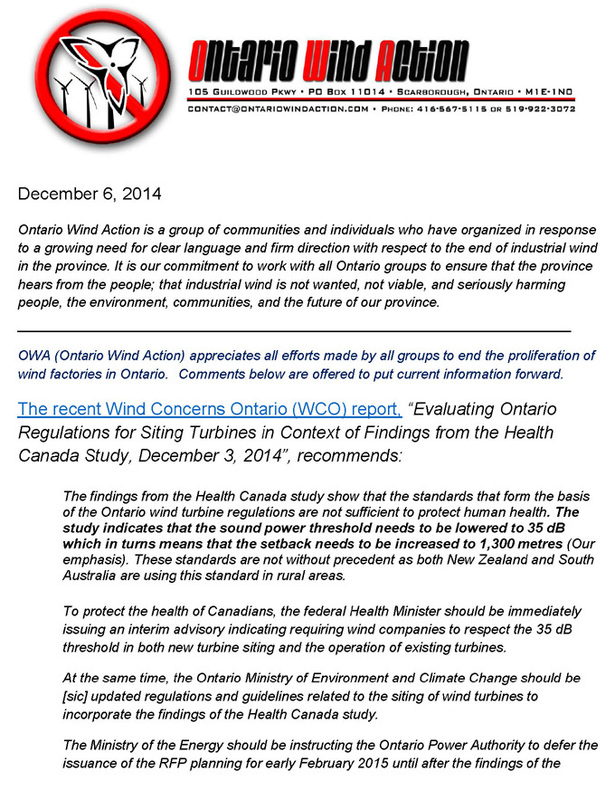 Ontario Wind Action (OWA) is a group of communities and individuals who have organized in response to a growing need for clear language and firm direction with respect to the end of industrial wind in the province. 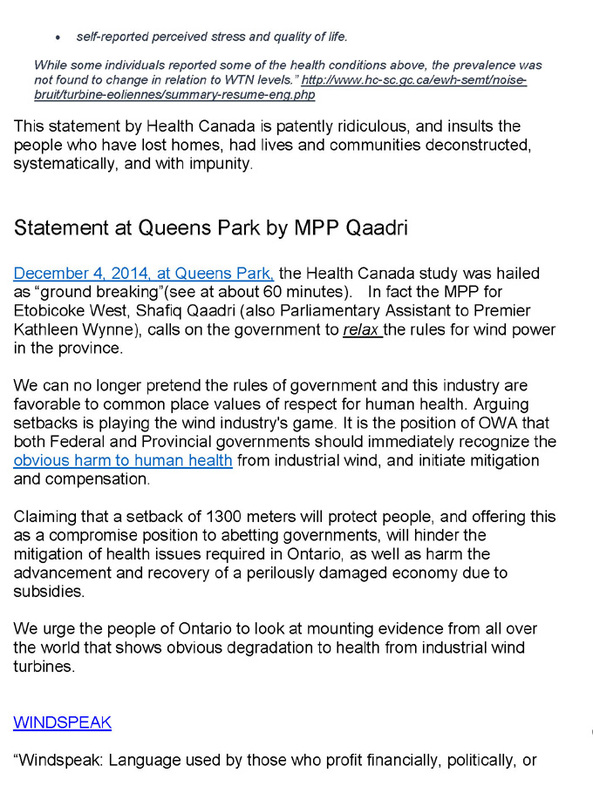 It is our commitment to work with all Ontario groups to ensure that the province hears from the people; that industrial wind is not wanted, not viable and seriously harming people, the environment, communities and the future of our province. 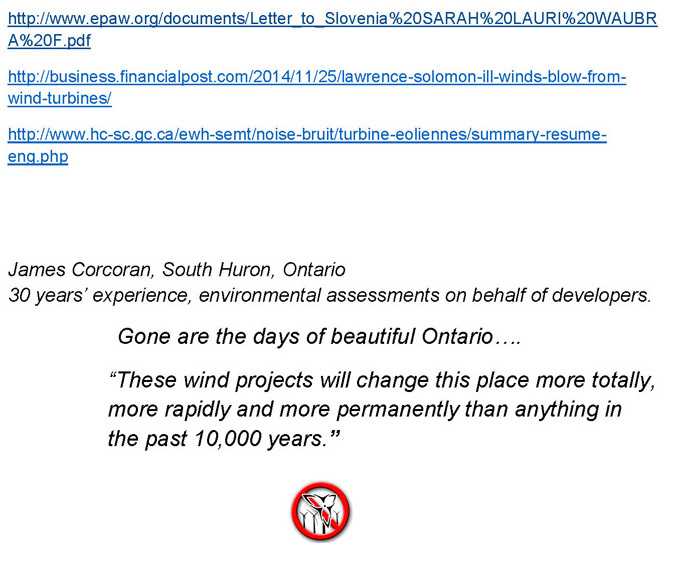 OWA appreciates all efforts made by all groups to end the proliferation of wind factories in Ontario. 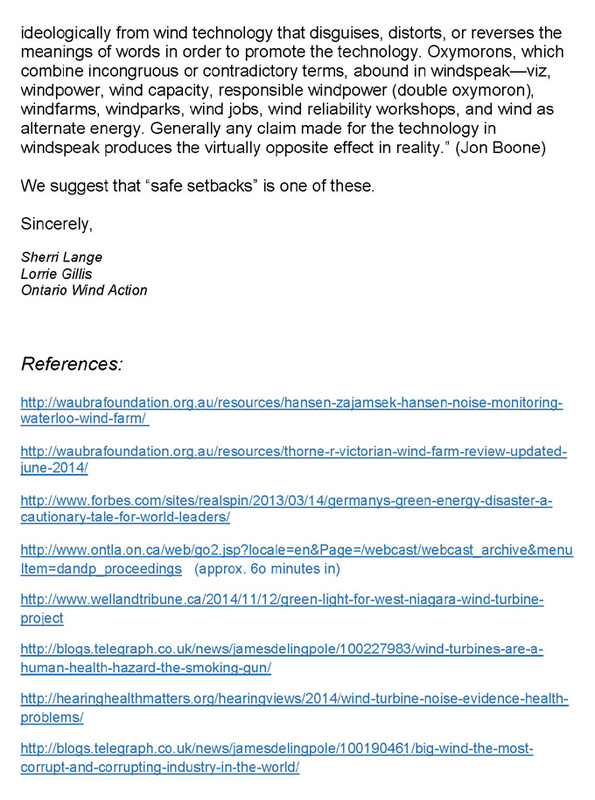 Comments in attachment are offered to put current information forward.